The Web GUI interface has multiple improvements. 1. RTSP & RTMP streaming capabilities have been added. 2. On/Off for Unicast or Multicast Streaming capabilities have been added. 3. On/Off for ONVIF support has been added. 4. VISCA Address has been added for controller multiple cameras over IP (VISCA over IP). 5. 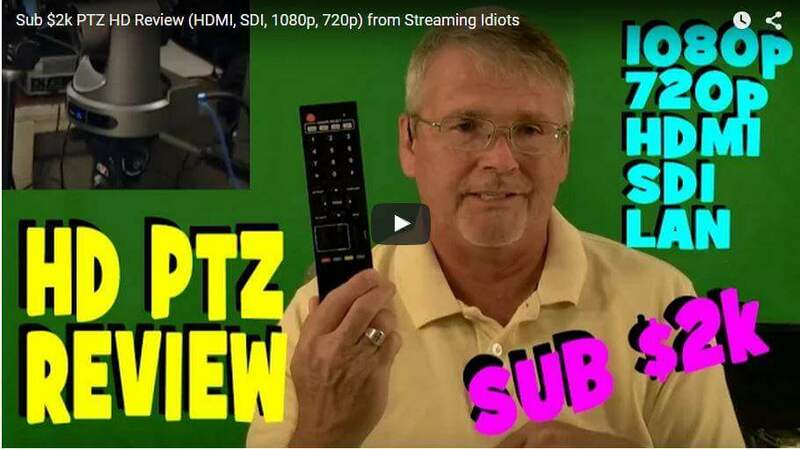 For the dual IP Streaming, Audio/Video On/Off buttons have been added for each video stream. 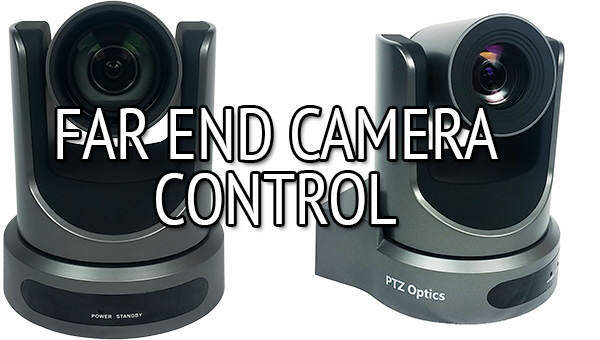 Today we want to review just how easy it is to gain PTZ control of your PTZOptics camera over your network. There are a few simple steps you can take to make this process super simple. 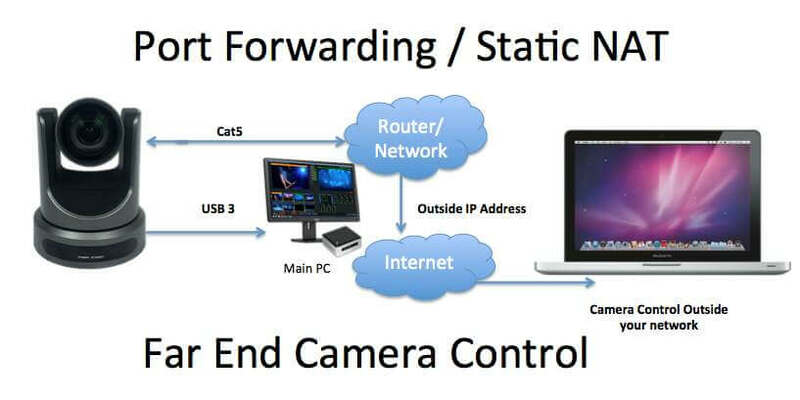 If you are looking for “far end camera control” outside your network please refer to this article: 5 Ways to use far end camera control (outside your network). Connect your PTZOptics camera to your network and turn on the camera. Once your PTZOptics camera is on the network you will be able to login to the IP address from any web browser using the default user name and password “admin” and “admin”for the username/password. (We recommend changing the default password once you are successfully logged in). There are two easy ways to determine the IP address your camera is on. By default the IP address will be 192.168.111.88 (But in some networks this might not work). So the easiest way is to use our IP Address tool (available in the downloads area) to search your network. You can also find the IP address from your router. At this point you can take control of your camera in a variety of different ways know that you know the IP Address. You can gain a live video feed and PTZ control from the interface built in the camera (Using Firefox or Opera… Chrome no longer supports VLC plugin required). 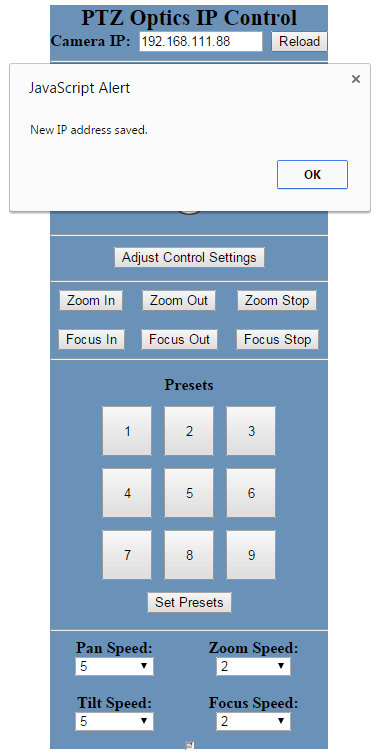 You can use our open source control software to build a custom interface. Or you can use our premium IP control software with all the bells and whistles including PresetVisualizer and remote IP control. In the following video Matthew Davis reviews how to set a static IP address for the PTZOptics cameras using the IP Address Tool available on the downloads page. Setting a static IP address is ideal in most networks to manage your IP devices efficiently. As many of you know every PTZOptics camera provides pan tilt zoom controls over TCP/IP for far end camera control. The following tips are strategies that you can use to gain far end camera control from IP cameras with type of control. PTZOptics now provides camera control to the far end using both RS-232 (VISCA) and UVC Controls over a USB cable using our new UVC Camera Control Software (or the VISCA version of this software) which will be include in this review. **Please consult your IT team to determine the best way to gain remote camera control access. You may find your IT team knows exactly what to do to accomplish these simple and secure networking strategies. TCP/IP stands for Transmission Control Protocol/Internet Protocol, which is a set of networking protocols that PTZOptics uses for camera control. You can use a Static IP Address on your internal network to control the camera’s Pan Tilt and Zoom plus view a live video stream at the same time. 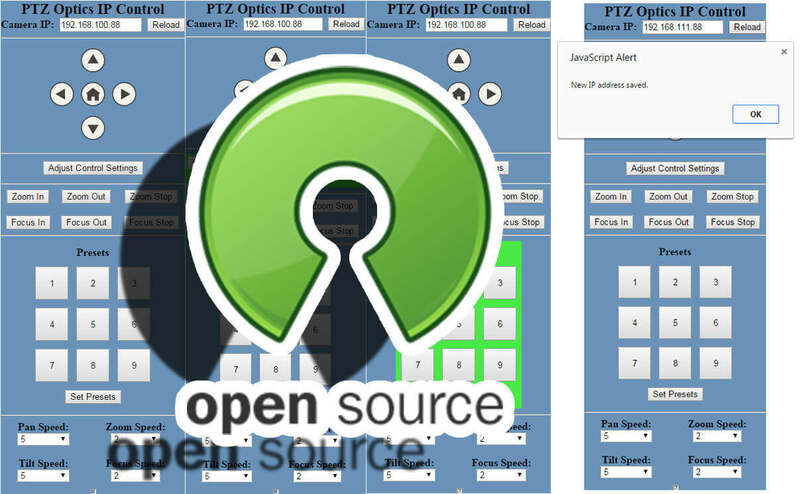 PTZOptics offers open source control codes developers can use to take control of multiple cameras with live video (using a VLC plugin). Let’s look at three ways to get IP camera controls available to users outside your network on “the far end”. After all, local camera control over your network using a “internal IP address” will most likely not be accessible to far end users of a video conference call. The convergence between network video, usually used for video surveillance and web video conferencing, predominately used for online meetings, are benefiting organizations in some pretty cool new ways. The first time I saw these technologies come together was with the first time I used a regular USB webcam as a security camera with USB motion recording software. That was back in 2012 and a lot has changed. Now PTZOptics offers cameras with built in UVC control, a camera control protocol for web conferencing software providers like GoToMeeting and Zoom.US, & ONVIF control, a camera control protocol used for surveillance video software like Axis, ExacqVision and Milestone, all built into just one camera! This means AV professionals can install 1 camera that that takes care of HD video conferencing and video surveillance all in one solution. Most video surveillance systems such as: Milestone, ExacqVision and Axis warmly accept H.264 IP streams with ONVIF control. Since the PTZOptics line also has USB 3.0 you can use the same camera with almost any web conferencing provider from Google Hangouts to WebEX. So now the high end board room users and facilities managers can finally agree on a win win camera solution! ONVIF stands for Open Network Video Interface and wikipedia says “ONVIF is a global and open industry forum with the goal to facilitate the development and use of a global open standard for the interface of physical IP-based security products.” Bascially this standard is used for video surveillance software to interact with the Pan Tilt Zoom controls of a network IP camera. 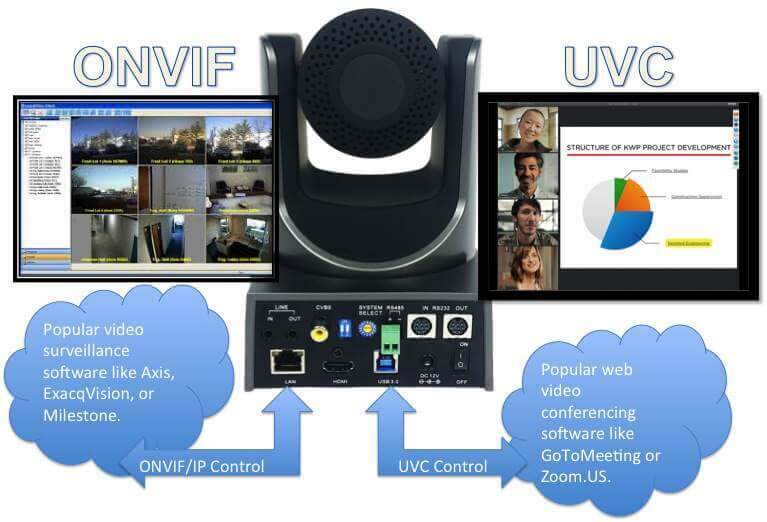 UVC stands for “USB Video Class” Control software which is mainly used by web video conferencing software providers like GoToMeeting and Zoom.US. This control protocol allows web conferencing software to build in Pan Tilt Zoom control through the USB connection of a capable camera. Local Network vs the Cloud? Most IT departments will prefer local network control for cameras when possible. In this case IP control is ideal because it’s low bandwidth and the users never have to leave the network. For cloud conferencing software providers like VSee, Zoom.US and GoToMeeting UVC control is preferred. I personally always prefer local control in a web-browser but UVC control has been getting better in recent history and it is nice to have everything managed in one app. In the future most control will come delivered right through UVC controllable cameras and software. How can open source camera control help? Get the Open Source Code! That’s okay don’t worry. 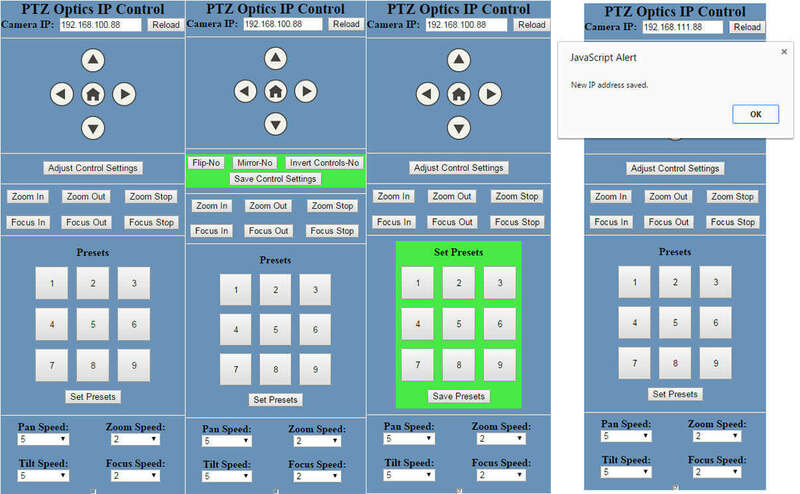 The PTZOptics cameras come with a stock IP control software GUI. Plus you can download a free Android app to control the camera over your network. Customizing the software is only something experienced programmers work with. But you may still be able to benefit from the community of programmers on GitHub trading ideas and offering improved scripts. Cool! That’s the world we live in. You can download our pre-written modules for Crestron or VISCA command modules that will work with AMX/Extron. We can help you integrate your control system with RS-232 so your programmers can spend more time on the project where they need to! If you just want to learn more maybe the PTZOptics Academy is the right place for you! The PTZOptics Academy offers free training available 24/7 for online classes. You can log in and start taking interactive Audio Visual classes to get up to speed quickly and easily.